Seen as the original Existentialist, Kierkegaard transformed philosophy with his conviction that we must all create our own nature. Fear and Trembling, his great work of religious anxiety portraying Abraham's sacrifice of his son Isaac, argues that true understanding can only be attained by making a personal 'leap of faith'. 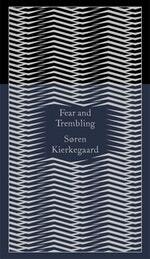 In Fear and Trembling, Søren Kierkegaard's infamous and controversial work made a lasting impression on both modern Protestant theology and existentialist philosophers such as Sartre and Camus. 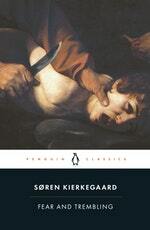 This Penguin Classics edition is translated from the Danish with an introduction by Alistair Hannay. Writing under the pseudonym of 'Johannes de silentio', Kierkegaard expounds his personal view of religion through a discussion of the scene in Genesis in which Abraham prepares to sacrifice his son Isaac at God's command. Believing Abraham's unreserved obedience to be the essential leap of faith needed to make a full commitment to his religion, Kierkegaard himself made great sacrifices in order to dedicate his life entirely to his philosophy and to God. The conviction shown in this religious polemic - that a man can have an exceptional mission in life - informed all Kierkegaard's later writings. His 'teleological suspension of the ethical' challenged the contemporary views of Hegel's universal moral system, and was also hugely influential for both protestant theology and the existentialist movement. Danish-born S¢ren Kierkegaard (1813-55) wrote on a wide variety of themes, including religion, psychology, and literature. He is remembered for his philosophy, which pioneered the idea of the Absurd, and was influential and in the development of 20th century existentialism. His other works include The Sickness unto Death, Either/Or, and Papers and Journals, all of which are available in Penguin Classics. If you enjoyed Fear and Trembling, you might like Kierkegaard's The Sickness unto Death, also available in Penguin Classics. Love Fear And Trembling? Subscribe to Read More to find out about similar books.